On this week’s episode “Plantriotic” Jackson Foster shares wisdom he’s gained from his years adventuring through the world on his bike. Currently, he’s on a journey riding his bike all the way from Alaska to Argentina, spreading goodness, experiencing the power of the present moment, and embracing all the adventures along the way. This interview was recorded during a brief break in his tour as he emerged from the Alaskan wilderness and the chilly Canadian Yukon through the Pacific Northwest and into the Urban Jungle of Los Angeles. Through this conversation, Jackson shares what he’s learned along the way. We talk about compassion, gratitude, living outside your comfort zone, what it’s like to live nomadically from your bike and why you should give jumping off the beaten path a shot. He also explains what his journeys have taught him about humanity and the kindest of strangers. This week we are catching up with previous guest and all around awesome guy Bill Sycalik!! 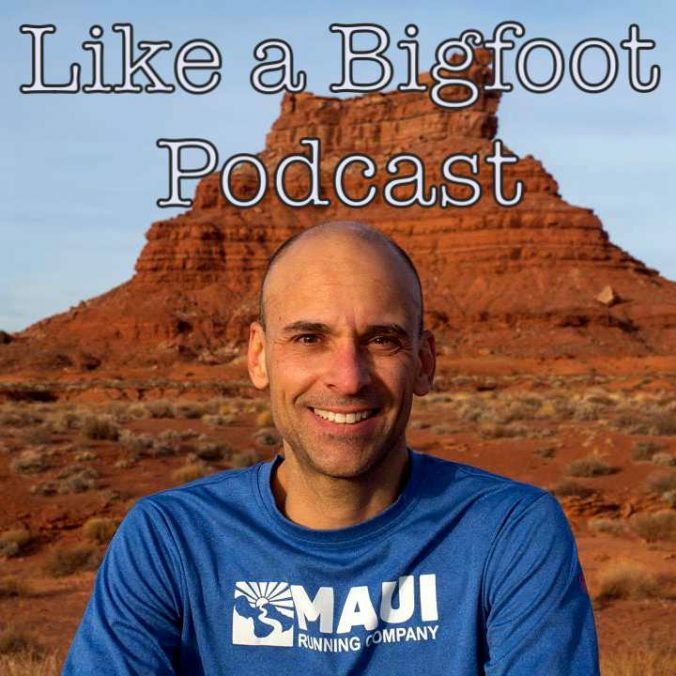 Since we last spoke, Bill has wrapped up running a marathon in all of the continental U.S. National Parks as well as the parks in Hawaii, U.S. Virgin Islands, and American Samoa. Now he’s preparing to level up as he is working out details for the extremely challenging and remote parks of Alaska. He’s also dealing with settling into a new life out here in Denver and is busy setting up his new passion project in which he’ll guide people to achieve their own life goals and find happiness. I love the idea of leading by example and sharing your Goodness in which Bill is an outstanding role model. He is using the skills, habits, and lessons he’s learned through his experience “Running the Parks” and is helping others apply those ideas to their own lives. Can’t get much more awesome than that!! This episode really was one of my absolute favorites to record as Bill came over and we recorded right in my tiny office. I also had a very clear thought halfway through of “Dang…..Bill is INCREDIBLY WISE!” He shares some very solid, applicable advice! Be sure to check out our previous episode together where we really delve into the origin of his journey and his experiences through some of the absolute most beautiful places in our country. Like a Bigfoot Podcast #80: Episodes 1-40 CLIPSHOW!!! This week we are celebrating our brand new logo design by revisiting special moments from episodes #1-40! 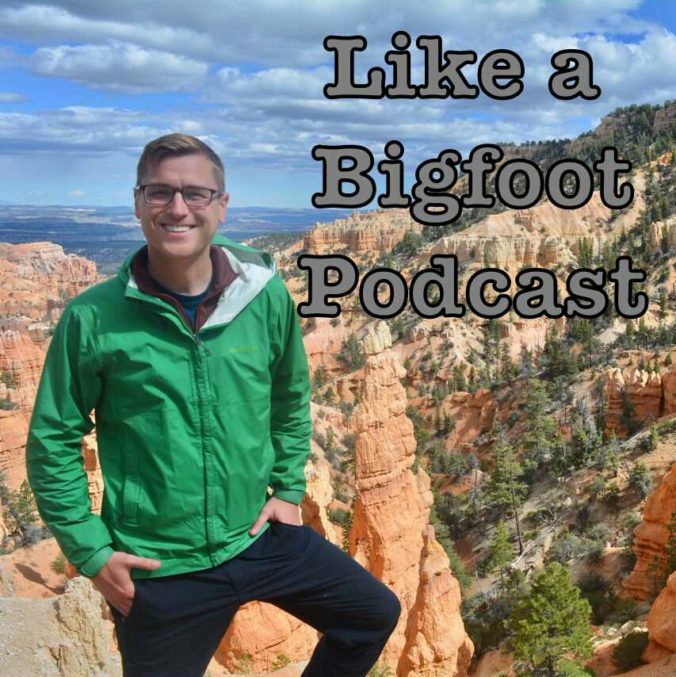 For new listeners this episode will give you an idea of what the Like a Bigfoot podcast is all about and for long-time listeners this episode will let you return to some of the stories from a variety of our guests. At first I wanted to do this for all 79 episodes of the podcast, but realized very quickly that there are way too many great moments to put in. That being said, at some point in the future we will put together an episode that is clips #40-80. HUGE THANKS to all the guests who have been nice enough to share their stories for the show! Also, if you want a sticker of our new Like a Bigfoot Logo shoot me an email likeabigfoot@gmail.com. I’ll send one your way for free! Just a heads up that they are pretty dang tiny. Still awesome though! If you are feeling nice, feel free to leave us a review on iTunes. We appreciate each and every one! We will be back to our regularly scheduled podcast next week with a conversation with returning guest Bill Sycalik! Mikah Meyer is on a journey of a lifetime. He’s taking on a road trip that is bringing him to all corners of the country and he is checking off all of the 417 National Parks managed sites along the way. As he’s traveled over the last few years his project has transformed as he’s discovered a bigger purpose; increasing the LGBT inclusion in the outdoor industry. In this episode we mainly focus on the emotional origin of his journey, why road trips are transformative and how they can begin the healing process? Mikah also shares what this has taught him about our country, what are the NPS sites beyond just the 59 National Parks, which ones have been his favorite so far, the highs and lows of such an epic quest, and his philosophy of incorporating a “retirement year” into every 5 years of your life. I had a wonderful time chatting with Mikah and really encourage you to follow his journey. You can find his wonderfully written blogs on his website at www.mikahmeyer.com and you can also follow him on Instagram by searching Mikah Meyer! I hope this episode encourages you to step outside your comfort zone and start seeing, doing and chasing the dreams you’ve always wanted to chase!